Clean rooms. Friendly service. Impressive bathroom. Great view. With a stay at Silver Key Hotel in Nizhny Novgorod, you'll be minutes from Ivanovskaya Tower and Monument to Minin and Pozharsky. 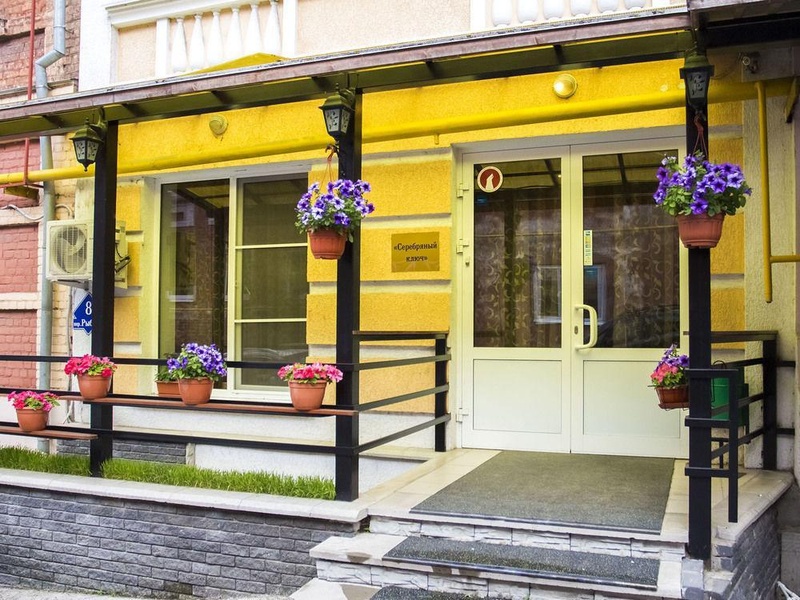 This hotel is within close proximity of Archangel Cathedral and Nizhny Novgorod Kremlin. Make yourself at home in one of the 5 air-conditioned rooms featuring refrigerators and LCD televisions. Complimentary wireless Internet access keeps you connected, and satellite programming is available for your entertainment. Private bathrooms have complimentary toiletries and hair dryers. Conveniences include safes and desks, and housekeeping is provided daily. Amenities Enjoy recreational amenities such as an indoor pool and a sauna. This hotel also features complimentary wireless Internet access, a television in a common area, and tour/ticket assistance. Continental breakfasts are available daily for a fee. Featured amenities include a 24-hour front desk, a safe deposit box at the front desk, and coffee/tea in a common area.